I had two recent scans. My brain scan was clean of cancer. Good. My chest and abdomen scan showed one tumor shrinking, one tumor getting larger and a new cancer area in my lung. Bad. This is a perfect example of how complicated it is to understand and treat cancer. The treatment was effective for one of my tumors but not the other. 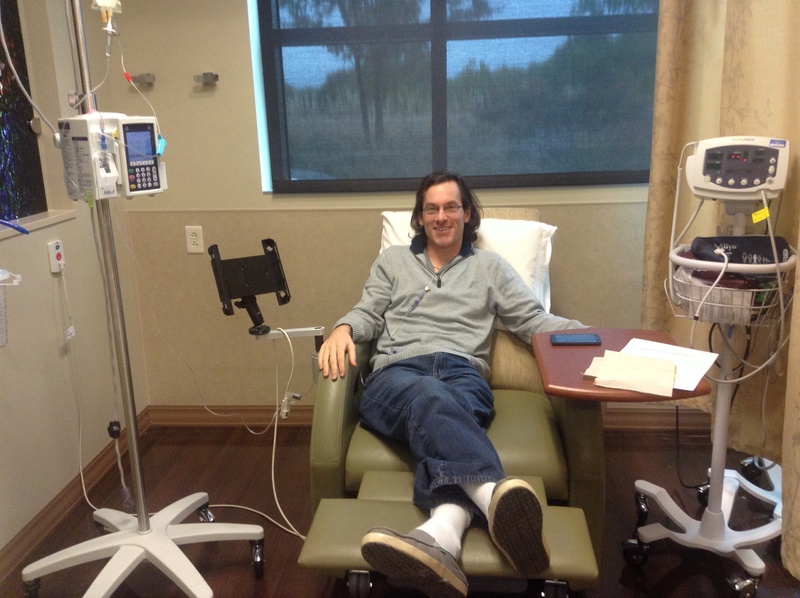 Since there is a new growth area in my lung and tumor growth, I started a new chemo. The new chemo regimen is taking 7 chemo pills each day for two weeks and off one week and a chemo infusion every three weeks. I’ll follow this routine until my next scan in mid-December. Along with my chemo pills, I take pills prescribed by my integrative holistic medical doctor. In all, I take 37 pills a day and inject myself daily alternating with mistletoe and bovine marrow. I recently included acupuncture into my treatment regimen. I heard a story recently that represents my ups and downs with cancer and helps my perspective. I like the story because I don’t know what’s in store for me. One thing I do know is I will continue to experience highs and lows. This past Saturday was a high day. I went to a fall festival at my daughter’s school. It was a beautiful fall day, sunny, cool with a little breeze. While watching my daughter and her friend ride on the carnival swing ride, I saw Katie kick off her socks and shoes. I thought to myself, what is she doing? She then spread her arms wide and stretched her bare feet straight out in front of her and pretended to fly as the swing went in circles. I stayed in that moment watching her fly and was glad I didn’t miss it by looking at something meaningless on my phone. I watched her happy innocence in admiration and longed for the days when I was carefree. My life may not be carefree, but at the moment I was flying carefree.